8 Foods and 3 Drinks that Will Make Your Teeth Happy! When it comes to caring for your teeth and gums, you’re probably	familiar with the taboos—that long list of thou-shalt-nots. You	know to stay away from purple lollipops and other brightly colored, hard	candies. You know that sugary drinks can erode the enamel of your teeth	and cause decay; but do you know what foods promote a healthy mouth? Do	you know what to eat and drink to wash away bacteria and repair your enamel? 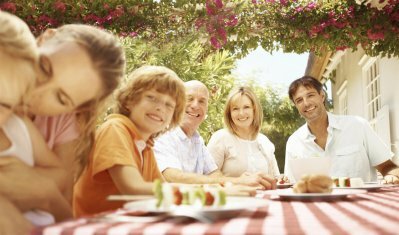 To help you sort the good from the bad, we at	Labbe Family Orthodontics have compiled a list of the best foods for dental health. Research suggests that	low calcium intake is a significant risk factor for periodontal disease. That’s one	argument in favor of calcium-rich foods like cheese. 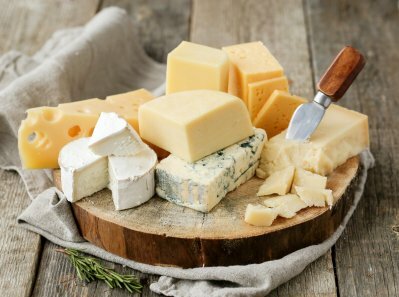 As far as dairy products	go, cheese may offer the protection against tooth decay as well. According to	the Academy of General Dentistry, it may actually help prevent cavities. One study revealed that eating	cheese raises the pH level in people’s mouths. Since a pH level	below 5.5 increases the risk of tooth erosion, anything that decreases	the acidity in your mouth can go a long way toward promoting healthy teeth and gums. Yogurt may not raise your pH levels as much as cheese, but it has other	properties that recommend it as a mouth-friendly food. In addition to	calcium and protein, which promote healthy bodies and strong teeth, yogurt	also contains plenty of probiotics. Why is that important? Because these good strains of bacteria have a way	of eliminating the bad bacteria that can eat away at your teeth and inflame	your gums. If you do add yogurt to your diet, make sure it doesn’t	contain added sugars, which are like kryptonite to your teeth. 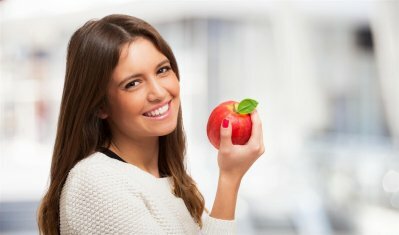 Are apples good for your teeth and gums? Many health professionals believe	the benefits outweigh the negatives. Apples may contain natural sugars	and have high acidity levels, but they also boast a high water content,	which helps to mitigate the effects of the sugars. At the same time, apples promote the production of saliva, which washes	away food particles, eliminating bacteria breeding grounds. For best results,	eat apples with other foods to balance the acidity levels. Did you know that almonds are rich in calcium? They’re also a good	source of protein, which has been shown to help repair tooth enamel. Meanwhile,	they have a low sugar content. In other words, almonds have plenty of	virtues and almost zero drawbacks. Chew these soft, delicious nuts as	a snack or sprinkle them on a salad. 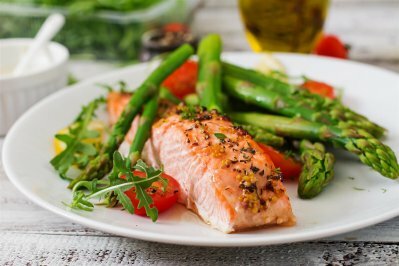 When you see salmon, you probably think of Omega 3—those essential	fatty acids that protect your heart and arteries. There’s no doubt	that salmon is a cardiovascular superfood, but it can also give your teeth	and gums a helping hand. That’s because fatty fish also contain	a lot of vitamin D, which helps your body absorb calcium. If you’re going to increase your dairy consumption in order to boost	your calcium intake, you might want to throw in some extra salmon as well. Strawberries are an all-around healthy treat, packing enough Vitamin C	and antioxidants to keep your entire body healthy. They also contain a	compound known as malic acid, which acts as a natural enamel whitener. In fact, some people even crush strawberries, mix them with baking soda,	and apply the paste directly to their teeth. If you prefer to savor your food while whitening your teeth, then enjoy	this delicious fruit the normal way—by eating it. Just be sure to	take extra care when you floss, since those little seeds can easily get	stuck between your teeth. Like salmon, leafy greens are a heart-healthy, body-friendly food, but	your mouth also reaps the benefits. It takes a lot of chewing to eat a	bowl of kale or spinach, and all that mouth action produces plenty of	saliva. The greens themselves also scour your mouth as you mash them up	between your teeth. As if that weren’t enough, leafy greens are rich in calcium. If	you’re lactose intolerant, you can always dish up a plate of spinach,	kale, or leafy lettuce in lieu of a glass of milk. Every time you chew gum, your mouth produces saliva that washes acid away. Just make sure you buy the sugar-free variety since the sugar in most	gums causes more harm than good. If you really want to cleanse your mouth,	check the packaging to make sure your gum contains xylitol, a bacteria-killing alcohol. It’s simple: Water washes away food particles, acids, and sugars,	and it contains no harmful ingredients that could lead to tooth erosion. 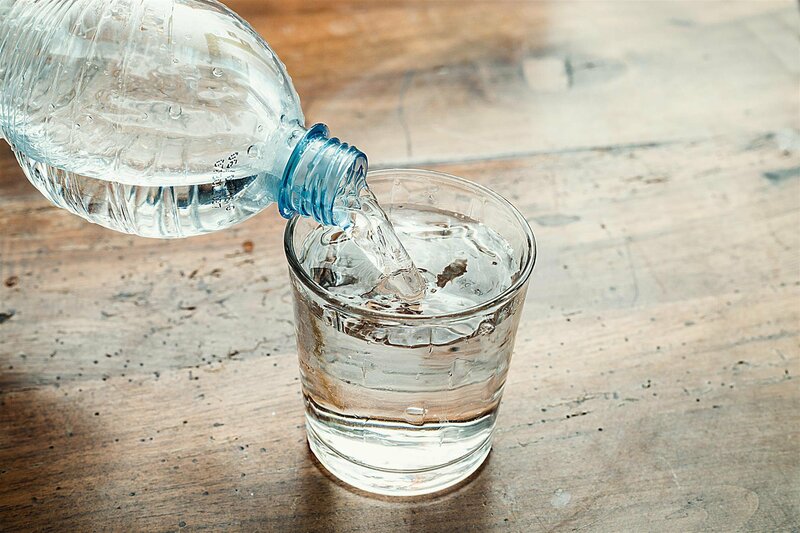 In fact, saliva, which remains the best defense against tooth decay, is	composed of 95% water. Drinking just a bit more water throughout the day can help wash away debris	even when you can’t get to a toothbrush. Want to mitigate the effects	of sugary foods? Follow up your meal with a glass of water to clean your mouth. Tea may stain your teeth, but it has its upsides as well. According to	research, black and green teas inhibit the growth of cavity-causing bacteria. They	also suppress the ability of microbes to produce acid. Since tea doesn’t	erode enamel, and since it has the power to prevent the build-up of plaque,	experts conclude that it could have a significant impact on oral health,	if not on the cosmetics of your teeth. Two words of caution: First, if you do enjoy a glass (or two or three)	per day, make sure it’s the unsweetened variety since sugar (or	even natural sweeteners like honey) can speed the process of tooth decay. Second, chase your tea down with water to wash away some of the tannin stains. Anything that contains calcium helps keep gum disease at bay, and milk	is probably the purest source of calcium. 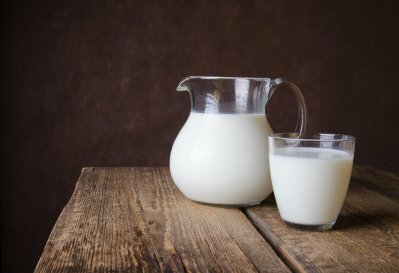 Older adults, in particular,	should drink plenty of milk, since they’re at greater risk of periodontal	disease (the	CDC reports that over 70% of Americans over the age of 65 suffer from periodontitis). Research also suggests that dairy products like milk can repair tooth enamel, thereby	preventing cavities. Stick to the 1% variety if you want to protect your	arteries while promoting healthy gums and teeth. If you want your smile to sparkle, you need to take care of your mouth. That starts with brushing and flossing, but it doesn’t end there. While good hygiene habits can cover all manner of dietary sins, it’s	best to cover all your bases. That means brushing and flossing every day,	eating the right food for healthy teeth and gums, getting regular cleanings,	and visiting your local orthodontist to correct any bite or crowding issues. At Labbe Family Orthodontics, we want every patient to walk away with brilliant	teeth because life is better with a smile. That’s why we offer not	only state-of-the-art orthodontic treatment but ongoing patient education. Because, here, you’re more than a patient; you’re part of	the family. Contact Labbe Family Orthodontics today to join the family in Annapolis, Crofton, Bowie, or Greenbelt.